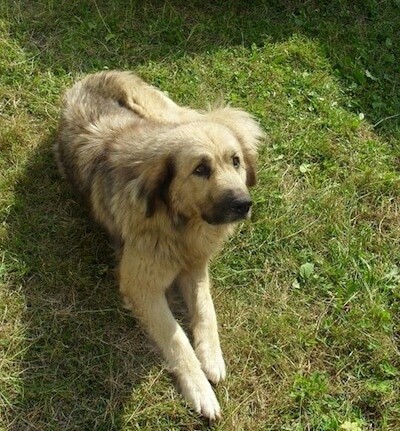 "This is Hera, a three-year-old Sarpie that we encountered on one of our foot patrols in northern Kosovo. 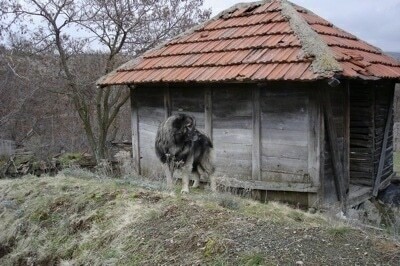 Her owner had recently gotten rid of his sheep, so the dog was more interested in guarding the property. She seemed pretty aloof to us as we were just walking by, but you could tell that if we had gotten much closer, she would've started to show some aggression." The Sar is a flock-guard dog that needs to be working. This sheep-herding guard dog is unaffectionate toward its humans. It prefers the flock it so enthusiastically protects. It has natural guarding qualities and independent thinking typical of the flock guard group. Usually calm, but when the situation warrants, it is ferocious in its efforts to protect the flock. It takes its work seriously. When on sheep-guarding duty it will investigate anything that catches its eye, and has no hesitation about confronting adversaries larger than itself. 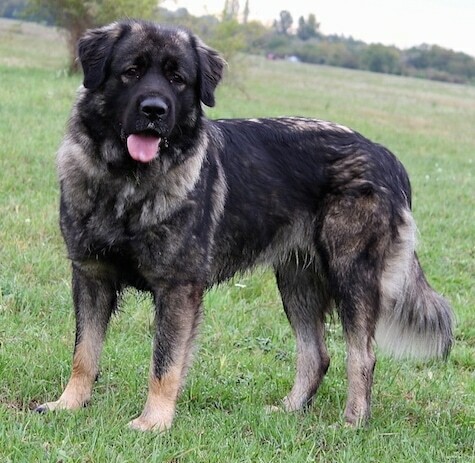 This is not a brainless tail-wagger; the Sarplaninac is a very wise dog that chooses friends carefully and trusts no one completely. He is more obedient to his ingrained code of proper behavior than to accept commands from one master, to whom he is most loyal. These dogs are very devoted to their flocks. One 6-month-old Sar in the United States flock-guarding program began working with sheep in a barn. His name was Bruno and he could not be coaxed away from "his" barn, even to play. In the spring, however, some sheep were sold, others purchased and the flock was put out to pasture. The dog was the ideal employee, happily adapting to new sheep and new quarters. Sheep and goat raisers are discovering advantages to owning a Sar when the majority of their predator problems disappear. These dogs will tolerate family members including children if they are raised with them, but will be aloof with outsiders. The Sar will protect all of its territory and the living creatures within it. This is a breed that is not to be taken lightly. It can be a rewarding experience if placed in the proper situation. They require work, time and, like anything else on a farm, proper management. If you plan to keep this breed as a companion and not as the working farm dog it was bred to be, make sure you are 100% a firm, confident and consistent pack leader. Meek owners will find themselves not being able to control this dog. This is not a dog for beginners. The coat will benefit from occasional brushings. 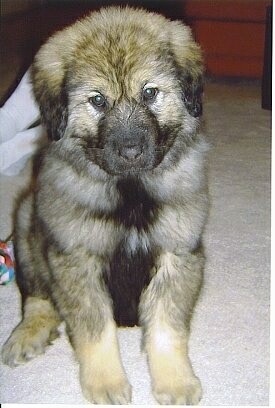 The name Sarplaninac is pronounced "shar-pla-nee-natz." It originates from the southwest part of Srbija (southern Kosovo) and the northwest part of Macedonia (Shar Planina, Bistra, Korab, Stogavo, Mavrovo, Jablanica and Pelister, etc.). This geographical area was once known as Illyria, the original name given to the breed. 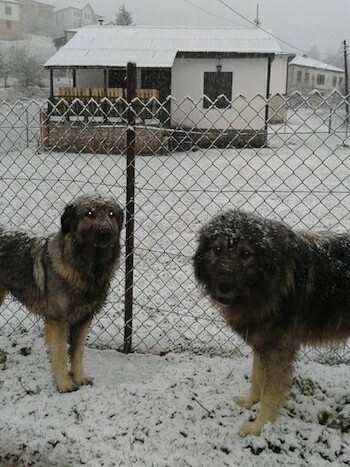 The region is now called Macedonia, but the dogs worked mainly in the mountains of Shar Planina and were renamed for the range. 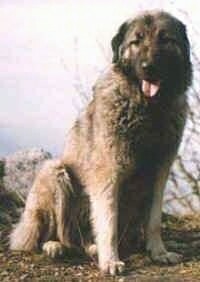 In 1939 the dogs were registered with the FCI under the name Illyrian shepherd dog. 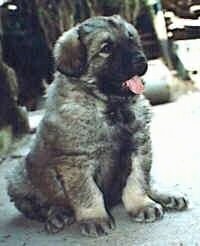 In 1954 FCI accepted the name change from Illyrian shepherd dog to the name Yugoslav shepherd dog-Sharplaninec. After the collapse of Yugoslavia and the Soviet Union, Macedonia requested the name of the dog be changed to recognize both countries, Macedonia and the Serbian side. 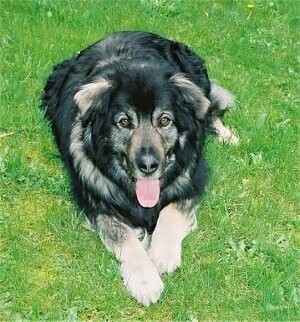 It was agreed to change the name of the dog to Macedonian-Yugoslav Shepherd Dog - Sharplaninec. 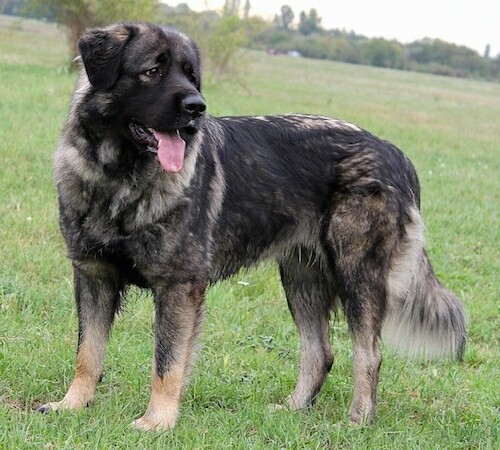 The Sarplaninac has the honor of being one of only two dogs to be recognized by the Yugoslavian Kennel Club, the official club of its native land. 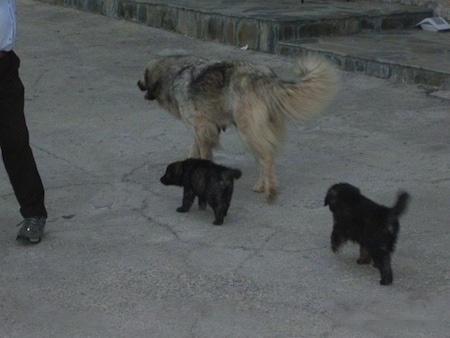 Thought to be older than the Istrian Shepherd (although not as old a breed as the Greek Shepherd Dog or the Turkish Akbash), this reserved guardian exists in sustainable numbers in Albania and Macedonia. First recognized as a distinct breed in 1930. 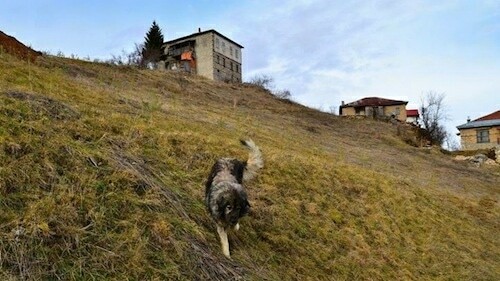 Although turmoil in Bosnia has reduced this breed's population in its previous heartland, since 1975 successful exports have been carried out to the United States and Canada to control coyotes, and this is where its future security rests. It is now gaining recognition as a hard-working, readily able flock guard in those countries. 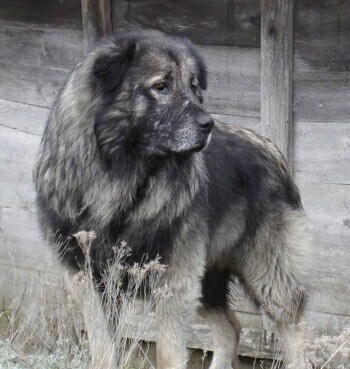 Numerous in its homeland, the Sarplaninac is still part of the great flock. It is versatile and occasionally works cattle or serves as guard. In fact, a military line of Sars was created in Marshall Josip Tito's kennels. 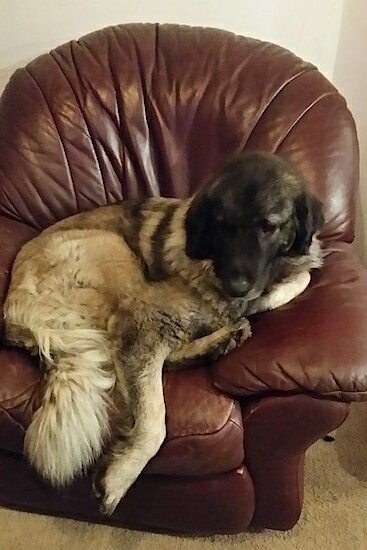 Alma the Sarplaninac at 2 years old from Hungary—"Alma is a young female dog who is typically very calm. She is due to have puppies soon." 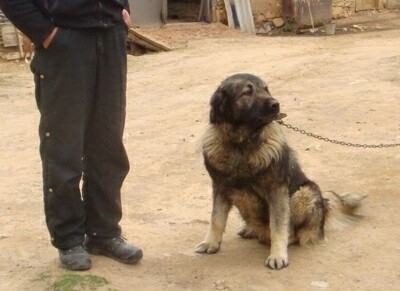 "Sasha is a Sharplaninec also known as a Macedonian Shepherd shown here at 2 years old. She has a great personality and is a very good protector of her owner. 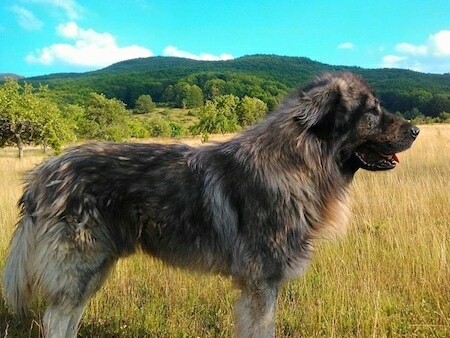 She is a large breed with a long coat. Sasha is very intelligent and great to train. Her only problem is her barking. We are working on that and she is learning." "This is Bear, a six-year-old Sarpie and his owner near the city of Novo Brdo in southeastern Kosovo. Bear started growling at us once we got close, but the owner came out and persuaded me to pet him. He still seemed pretty apprehensive about the new visitors, and I know for a fact that if the owner hadn't been there, I wouldn't have gotten as close as I did. When I mentioned I had read that they were great sheepdogs, the owner started smiling and told me that Bear had killed two wolves for sure that he knew about. You can't see in the picture, but half of his left ear is missing—presumably from one of those fights." "Bear the Sarpie at 6 years old—one thing I've never been able to get over when seeing these dogs is their beautiful coats, especially those with the black outer coats. I have a few other pictures of dogs that I'm sure are mixed with Sarplaninacs and what I would guess are German Shepherds (as they are fairly common here), and they've got the same coloring, but the bodies aren't built the same, and there is a definite difference in temperament —with the mixed-breed being much more sociable." "Bear's owner said that he tends to be dog-aggressive, citing it as the main reason for chaining him up when the sheep aren't out to pasture." 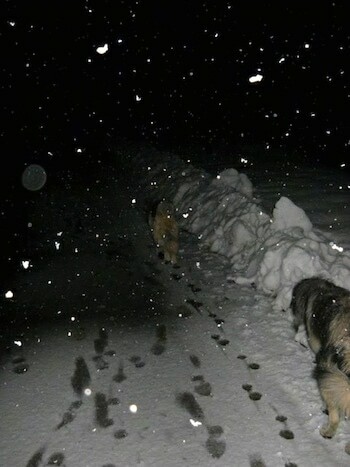 "The last picture I attached somewhat contradicts that, as it's a Sarpie "playing" with another dog in northern Kosovo near the Serbian border. 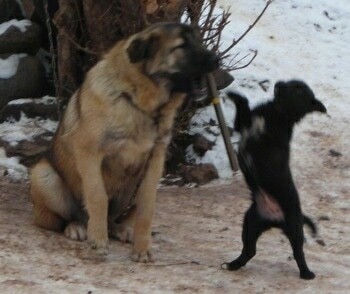 The smaller dog was more of a nuisance, but the Sarpie seemed to be enjoying playing around with him." 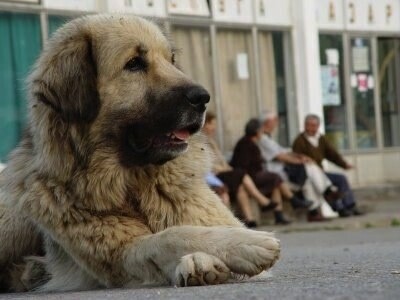 This is Bistra the guardian of my village in Lazaropole-R. Macedonia. She is not owned by one person, but is owned by people of our village and we all are taking care of her and her pups. Her pups are grown up now. In winter the employees of the meteorological station take care of them. They are all super friendly with us, but not very playfull. I suppose it's their natural protective instinct of staying alert. Do not adopt this breed if you can't give it space to run free.